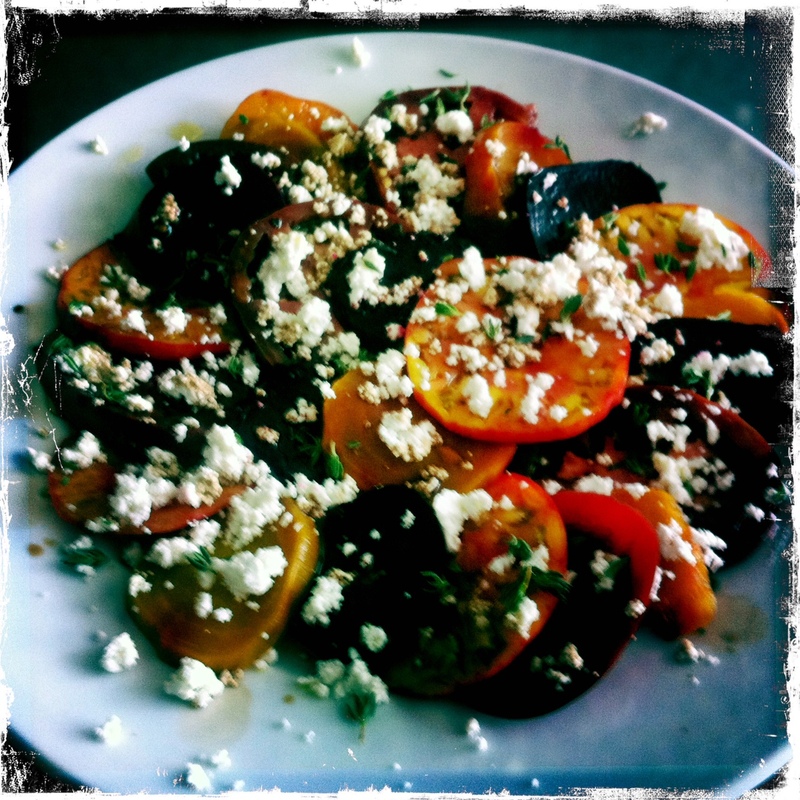 i love the sweetness of summer tomatoes paired with the earthiness of beets, topped with tangy but creamy chèvre, floral thyme, and drizzled with adams’ olive ranch balsamic vinegar + their lemon infused olive oil. absolutely fresh and scrumptious! summer you will be missed, and your tomatoes even more so. adams’ olive ranch products are sold at the santa monica and hollywood farmers markets, fairs, festivals and gourmet shops. Gorgeous! Two of my favorite veggies!